The Shadows of Shoah Exhibition was launched in 2013 by New Zealand Prime Minister John Key. Since then it has toured museums, galleries and public spaces the length of New Zealand. 27 January is United Nations International Holocaust Remembrance Day. Over this week Shalom.Kiwi will post a survivor story each day to raise awareness of this important event – an event that becomes increasingly important as survivors pass and as anti-Semitism re-emerges. We invite readers to share these stories with their networks via social media. Today is the second in our series and the story is that of Inge Woolf. 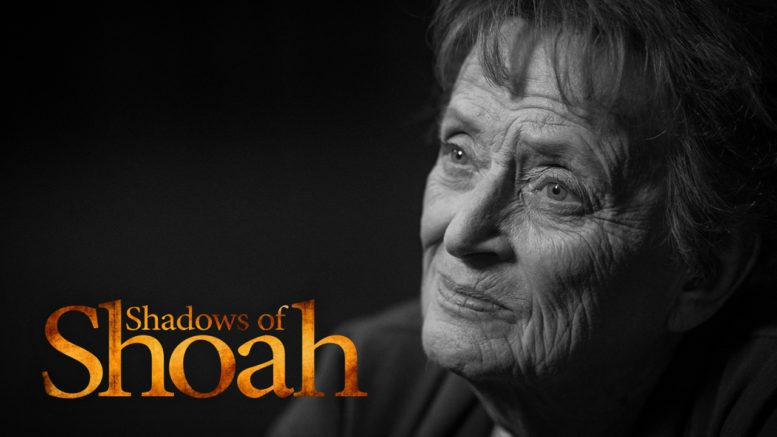 Inge Woolf was born in Vienna in 1934 to a warm and loving Jewish family. She was only 3 years old when the Nazis marched into Vienna and 4 when she finally escaped to England. Twenty years later she immigrated to New Zealand with her mother. She tells of her experience and the tragic tale of her grandmother, one of the refugees seeking asylum in Palestine on the SS Patria. Inge Woolf founded the Holocaust Centre of New Zealand, a centre for research and education. Did NZ become a post-war haven for Nazis?